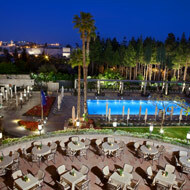 King David Jerusalem One of the most magnificent hotels in the world is situated in the heart of Jerusalem, overlooking the Old City. 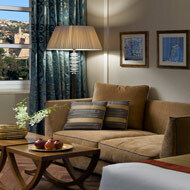 Visit the King David Hotel, the home in Jerusalem of world leaders and celebrities. 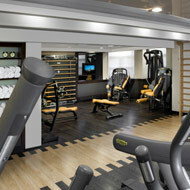 Relax yourself at the hotels swimming pool or work out at the Fitness Center or on the tennis court. 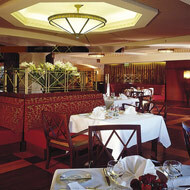 The Hotel King David offers luxurious dining in La Regence Grill Room, Kings Garden Restaurant, the Orient Bar, Lobby Lounge and Terrace and Poolside Restaurant (summer). 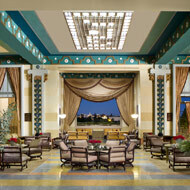 Room Amenities 237 rooms including 32 Special rooms and Suites, 1 Presidential and 1 Royal Suite. 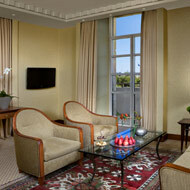 All rooms and suites feature a safe, double-glazed windows, multi-channel cable TV, towel warmer, and personal temperature control. 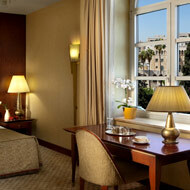 Certain rooms and most suites offer on-line faxes and modems based on advanced ISDN technology. Bedside control units for all the electrical appliances in rooms on 1st - 4th floor. 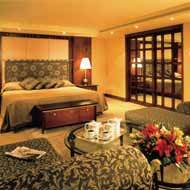 Maximum number of guests per room - 3. Please say "I saw your listing #1753 on "RESERVE KOSHER"